There are not a lot of bands out there that can claim longevity - releasing their first single Who Needs Love Like That in 1985, Erasure can definitely claim it. 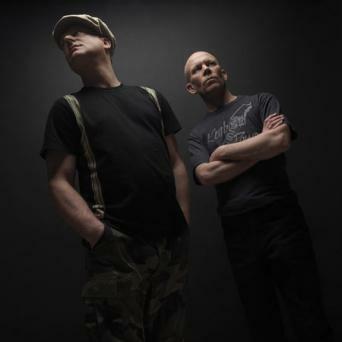 This British band comprising of lead singer Andy Bell and keyboardist Vince Clarke have been churning out the hits consistently for 26 years. Clarke had been part of both Yazoo and Depeche Mode before forming Erasure with Bell. Andy Bell has had some solo success, and as an openly gay recording artist, has lent his talents to numerous charity recordings for HIV research and for PETA's wildlife campaign. Classified as Synth Pop, Erasure has been responsible for the smash hits A Little Respect (also a SingStar favourite), Chains Of Love & Always. Selling over 25 million albums to-date, Erasure are pop royalty. Have a listen to A Little Respect below. 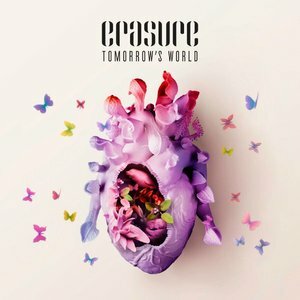 Some albums you like straight away, others grow on you and Erasure's first new album since 2007 called Tomorrow's World is in the latter category, as we liked it more and more with each listen. Recently travelling in Melbourne, Tomorrow's World kept us company for a long train trip and initial impressions were pretty good - from the great first single When I Start To (Break It All Down) (listen below) there are some classic pop tracks here. A Whole Lot Of Love Run Riot is a stand out - auto-tuned, but in a good way, the song starts out with a great beat and builds up to a ripper chorus - you can just picture this going off in a club! Another stand out track is I Lose Myself - a real 80's vibe in a modern package, while Then I Go Twisting starts out slow and introduces a classic disco beat before introducing a Kylie-esque chorus. The new single is confirmed to be Be With You - a synth pop gem which really showcases the vocals of Bell. Produced by fellow Brit Frankmusik this is an album of classic dance pop and is sure to be one of Erasure's biggest albums - and after 26 years that's an achievement! !